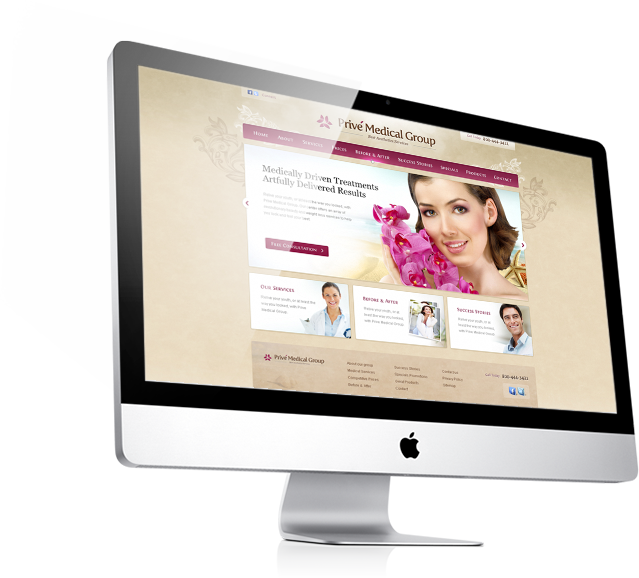 Medisites offers top quality websites that help medical professionals attract, interact and educate patients. 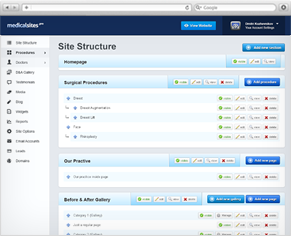 Medicalsites allows you to easily create and manage a state-of-the-art website. A top notch website is the foundation for a successful practice. See what MedicalSites can do for you. Project the right image from the first time. Medicalsites' unique system allows you to edit and update your websites content and pictures in just minutes. You have complete control of your medical website including the content, images, photographs, unlimited pages, links and more. Using carefully crafted, relevant and creative content, your new website can give your practice a powerful voice. The content that you have on your website is often the first impression that potential patients have of you and your business. You have just a few seconds to make an impact and grab their attention. The right words can help you to capture your target audience, appeal to new patients and also help with search engine optimization. Get your website up and running in just 2 minutes. 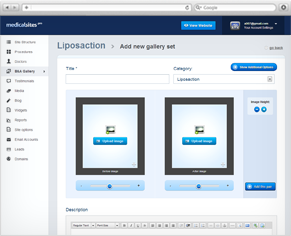 Before & After galleries are one of the most important sales tools of your practice. Nothing else can convince the customer better than the quality of your work. 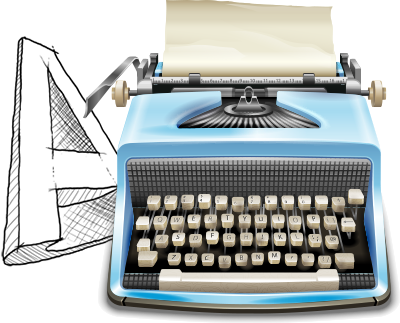 Quickly created your professionally related content. 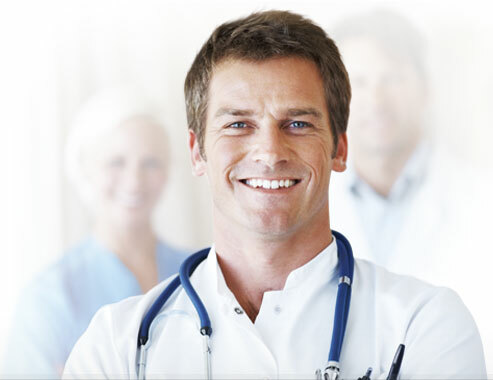 Add doctors and their biography, create, edit or delete your procedures and services in just a few minutes. You will be able to easily add any type of visual media such as written and video patient reviews, Media and PR videos and images, promotional brochures and so much more. Upload hundreds of written reviews in seconds & add video reviews to increase potential patient's confidence in your professionalism and business. There are no additional per page charges - with medicalsites you can make your website as big as you want, keep your visitors engaged and create a better ranking results. It is very important to monitor your progress though statistics and analytic reports. For convinience we included most important data onto your dashboard. 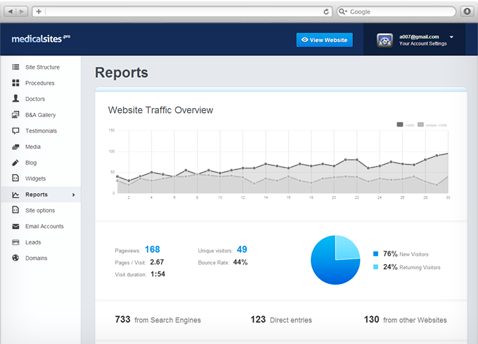 With WebEngine your website "VITALS" are always available at your fingertips. Keep your website interesting to your visitors and stay at the top of the search engines by consistently adding your own original content. Especially in the medical industry, new content is vital to maintaining a professional online appearance and reputation. Medicalsites gives you the power to securely manage professional emails for your practice from any browser or any device. You can manage your email on desktop, on the web, and your mobile device. Keep your website interesting to your visitors and stay at the top of the search engines by consistently adding your own original content. Especially in the medical industry, new content is vital to maintaining. With our reliable and scalable cloud infrastructure, there's no downtime, and nothing to install, patch, or upgrade.